THE Aesthetic Show judges award Dr. Thomas E. Young for his overall body makeover results with the combination of several body contouring procedures including Zerona, Body-Jet and VelaShape. Breast implants that don't use silicone nor saline, in fact there are no implants at all. Moving fat from your undesired areas into the breast sounds perfect. But how does it work, what can patient's expect, and is it safe? If you already own or are thinking about owning a medspa of your own, here are some great tips to get (and keep) quality customers. Breast implants go au naturale, lasers can bring your skin back from the ink, and Solange Magnano is most researched on AHB. Dr. Thomas Young uses Natural Breast Augmentation to move fat from unwanted areas into the breast, an all natural option. Botox Profits Rise: In Spite of or Because of the Dysport Competition? Botox numbers rise despite a down economy and new competition. AHB wonders, did the factors everyone expected to hurt the company actually help? One of the most revealing signs of age is the frown line, and it�s almost impossible to avoid. The saving grace is that there are several options for getting rid of these age indicators. So which one is for you? Thomas E. Young, MD and his staff are proud to introduce the GeneWize LifeMap Healthy Aging Nutrition System at Young Medical Spa. 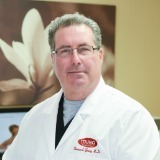 Thomas E. Young, MD of Young Medical Spa located in Center Valley, PA has been chosen to be a National Trainer of physicians for their new Selective Laser.